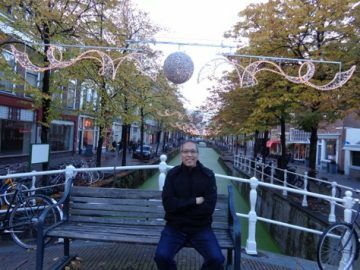 Phil is currently a senior lecturer at the IHE Delft Institute for Water Education where he is coordinating and teaching courses on water partnerships and financing. Prior to joining the academe, he held various senior leadership posts in both the public and private sectors. Phil served as the first Executive Director of the Public-Private Partnership Center of the Philippines where he provided leadership in the advocacy and implementation of the country’s PPP policies and programs. At various stages of his career, he also served as Chief Finance Officer and Treasurer of Maynilad Water Services, Inc., Country Manager for the Philippines of the Alliance to Save Energy, Chief Finance Officer of Asian Hospital and Medical Center, Assistant Vice-President of Benpres Holdings Corporation, and Assistant Vice-President of First Pacific Capital Corporation. Aside from his PhD degree in Resource Management & Environmental Studies from the University of British Columbia, Phil has graduate degrees in other disciplines – Master of Engineering from the University of the Philippines, Master in Management from the Asian Institute of Management, Master in Public Administration from Harvard University, and Master of Arts in Asia Pacific Policy Studies from the University of British Columbia. He was a recipient of a Joint Japan/World Bank Graduate Scholarship at Harvard University, the Power Corporation of Canada Research Scholarship and College for Interdisciplinary Studies Award at the University of British Columbia, as well as a Doctoral Research Award from the International Development Research Centre of Canada. He has a Bachelor of Science degree from the University of the Philippines.